Television certainly needs a Saint, Lord have mercy! 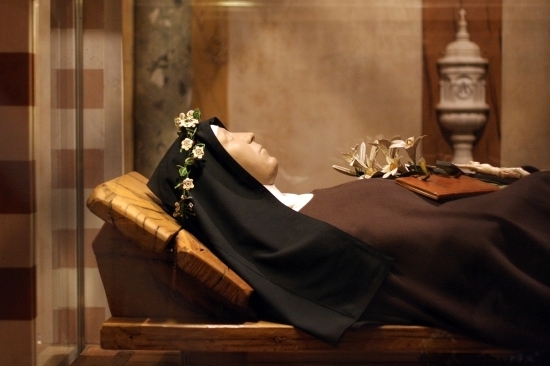 The preserved body of St. Clare (1194-1253), displayed in the crypt of the Basilica di Santa Chiara in Assisi. Finally, Here is a video on St. Clare and the history of the Poor Clare Nuns in Ireland. This entry was posted in Saints and tagged Assisi, Catholic Saints, Holiness, Holy heroes, Pataron Saint of Television, St. Clare, St. Francis. Bookmark the permalink.